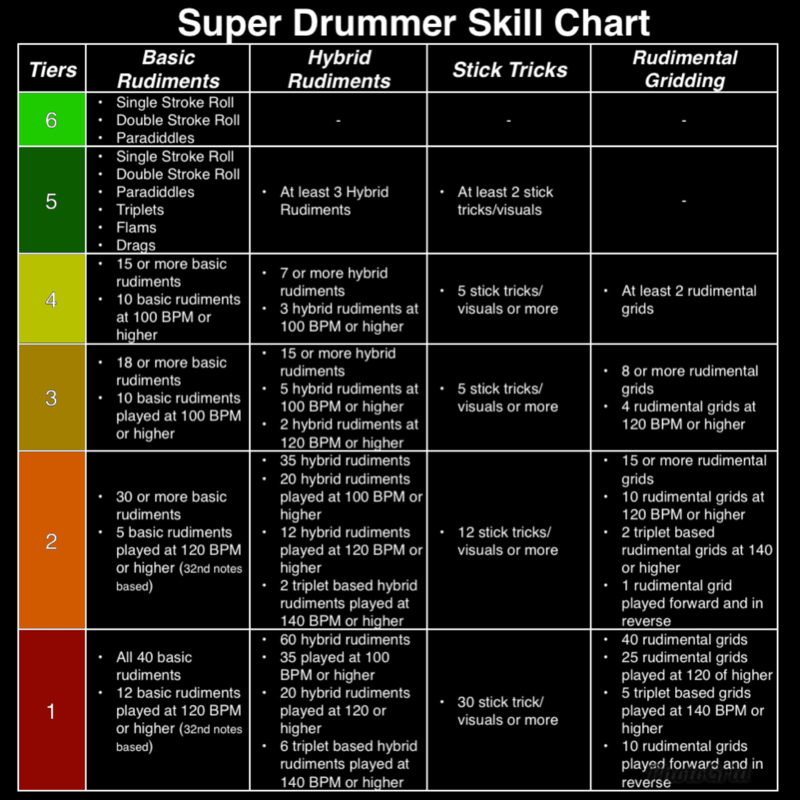 This is the official Super Drummer skill chart. This chart is more geared towards snare drumming, but all drummers can use this chart to assess their own skill level and what drummers can seek to learn or improve on. This chart is by no means the best or only path to being a successful drummer. This chart was created with the intent of helping guide drummers towards what they can work on next to become an even better drummer. 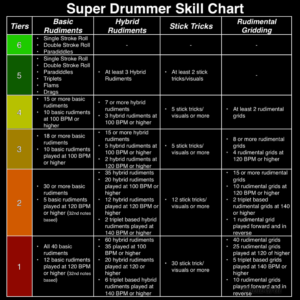 This chart was created to accommodate drummers with a variety of different skill levels. Tweaks and changes of this chart will happen throughout the time of it’s existence in order to give drummers the most accurate assessments of their skill levels and what they can work on next.